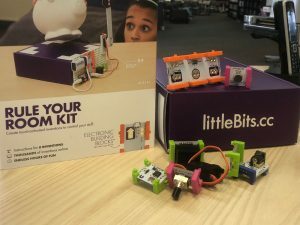 For years now libraries have pushed themselves to engage with new technologies and provide programming that complements the school curriculum in preparing kids for the coming challenges of the future. 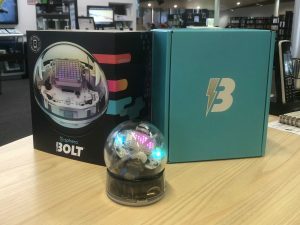 YPRL has met this challenge through many successful programs, such as our Code Clubs, Maker Spaces and regular workshops in Science, Technology, Engineering and Maths (STEM) disciplines. We also have a range of STEAM resources used in our programs. The next logical step for us to support learning in STEM literacies is to provide lending resources that can be taken home like any other item in our collection. Bee-Bots are programmable floor robots suitable for Early Years & Lower Primary. Its child friendly layout appeals to children and it is a perfect starting point for teaching control, directional language and programming to young children. These magnetic “Bits” snap together to turn ideas into inventions, transforming the way kids learn so they can grow up to be tomorrow’s change makers. Spheros are app-enabled robots equipped with lights and sensors that provide endless opportunities to be creative and have fun while learning. 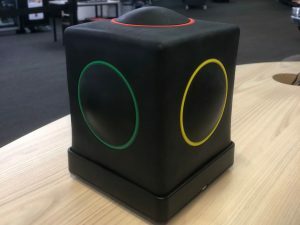 Skoog is a fun way for families to explore sound and music together, with no need to master complicated music theory or playing techniques. For individuals with a disability Skoog is an accessible musical instrument. The interface in combination with the App provides a level playing field for playing, learning and creating music. There are many more resources in the collection and it will continue to grow with time. To access this collection children must live in the City of Whittlesea and register for a free toy library card from Lalor Library. In order to borrow from the Learning Library children and parents must have the operation of the item explained by a staff member. By removing barriers to access of these new resources, the Learning Library will allow children and families a unique opportunity to learn at their own pace in the comfort of home. 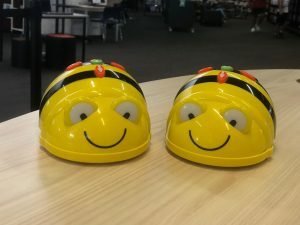 Children can attend one of the fantastic programs we run at the library and then continue their learning adventure by taking home a robot! 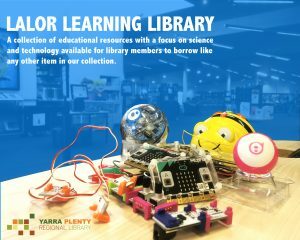 The Lalor Learning Library now offers STEM learning tools to take home but we still have plenty of books to help children develop skills for the future. Put one on hold today.